Last Pic of the Day for 2009! 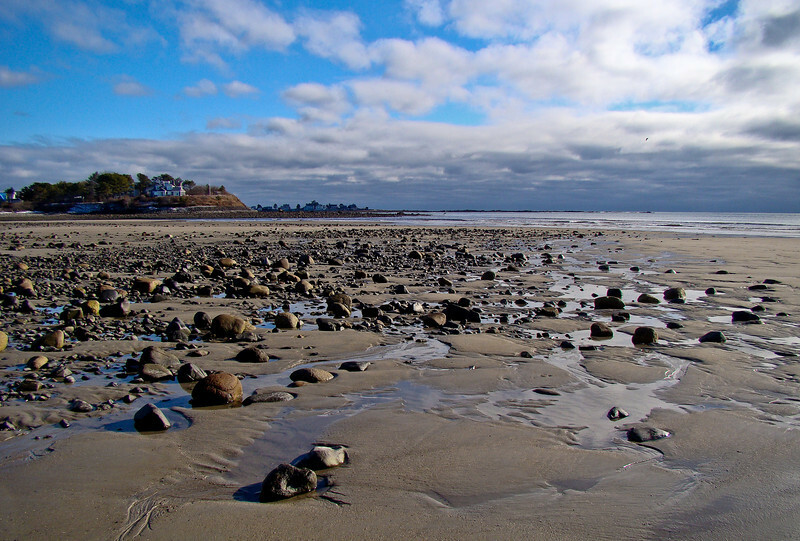 Parson’s Beach, Kennebunk ME. We had a cold snap night before last: 2 degrees, climbing to about 25 at the high yesterday. Cold enough to freeze salt water, or at least turn it into rime. 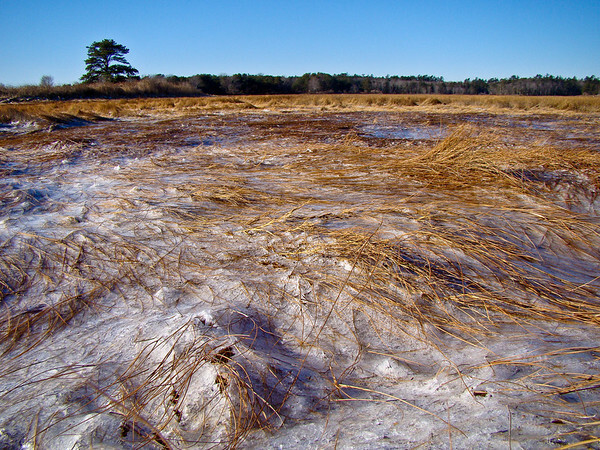 Cold enough to freeze a thin layer of rime over the marsh grasses as the tide fell. We also had a flood tide, so areas of the marsh that are rarely wet were under water. The combination created some interesting effects. 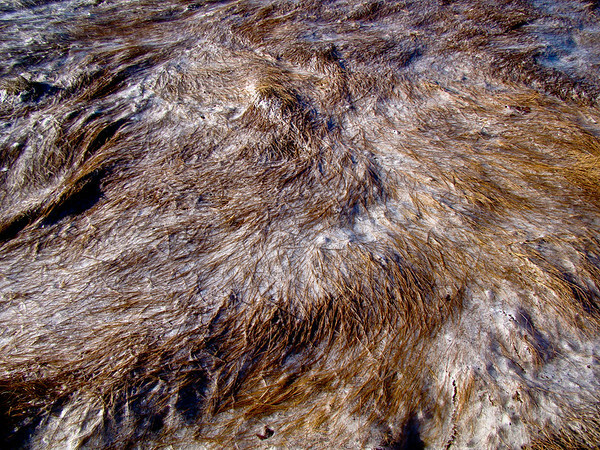 I took many shots of the patterns formed by the grass and ice, and then a few like this one, from ground level looking across the frozen marsh. Sony DSC H50 at 31mm equivalent and macro. F5.6 @ 1/640th @ ISO 100. Programmed auto. Blackpoint to the right in Lightroom. Added Clarity and Vibrance. Sharpen Landscape preset. And here is one of those pattern shots. Taking a break from the Desert Botanical Gardens and AZ…back to Maine for a winter surf shot, the day after a major storm passed off-shore. It is way the light interacts with the water that caught my eye. 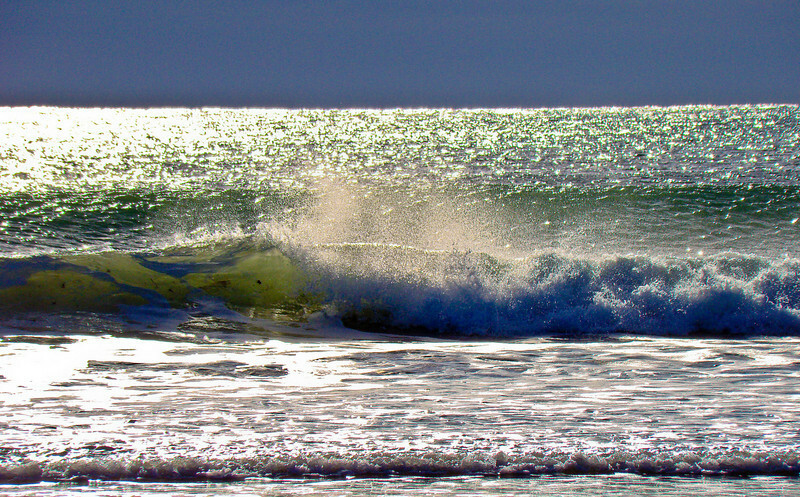 I took a dozen or more shots of the surf, trying to catch what I was seeing. This is at least close. Sony DSC H50 at 465mm equivalent. F5.6 @ 1/2000 @ ISO 100. Programmed auto. Blackpoint to the right in Lightroom. Added Clarity and Vibrance. Sharpen Landscape preset. Cropped from the bottom for composition. I also had to deal, in this extreme shot, with some Chromatic Aberration showing along the out-of-focus horizon. The Lightroom CA control took care of it easily. 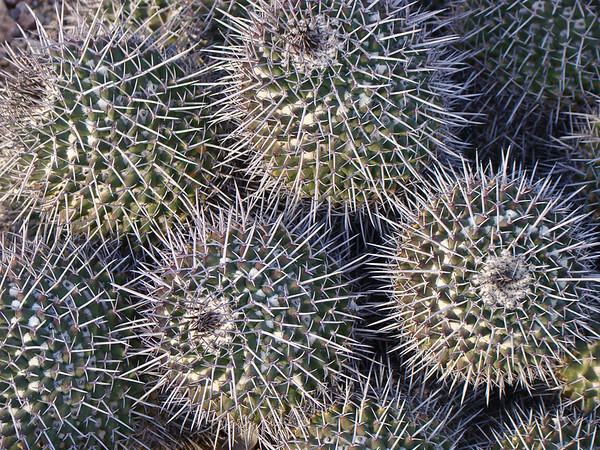 Early light, winter colored prickly pear profusion at the Desert Botanical Garden in Phoenix Arizona. 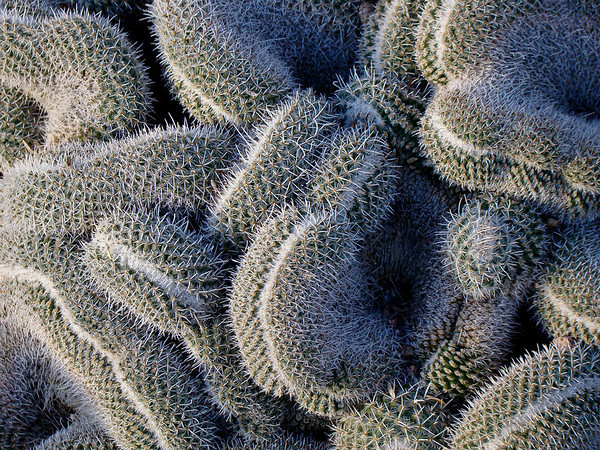 I really like cacti. I like the forms they take, and the display they make as the light changes. 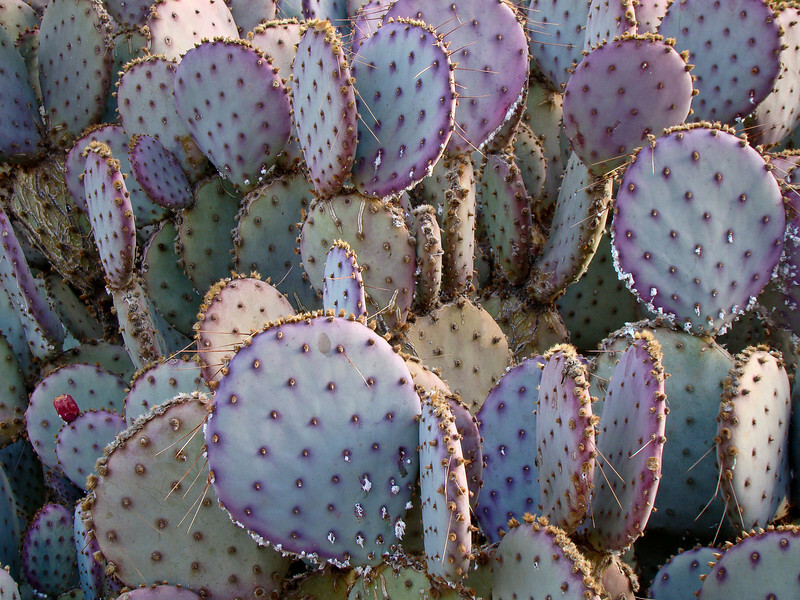 I like the subtle colors, which often, as with the Prickly Pear, vary with the seasons. I like to fill the frame with the pattern of them, to the exclusion of all else. What can I say? 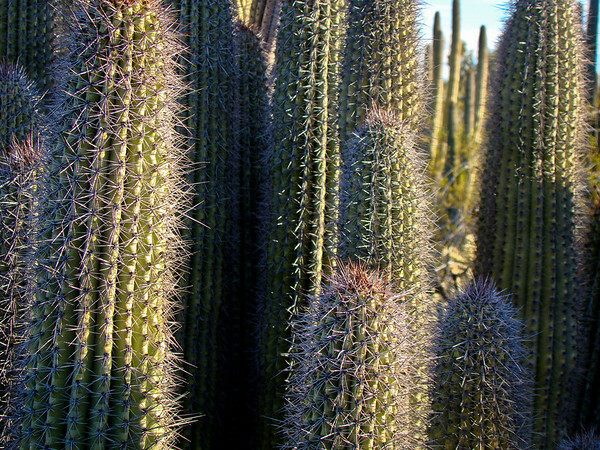 I like cacti. For this shot, I used the zoom on the H50 for framing and to flatten perspective. I intend to publish a piece on Point and Shoot Landscape on just that…using the zoom as a framing tool. The one purple/red fruit/bud on the left adds a “where’s waldo” effect that I like. Sony DSC H50 at about 80mm equivalent. F4.0 @ 1/60th @ ISO 100. Programmed auto. All presets in Lightroom: Punch, Landscape Sharpen, >> of Clarity, and > of Vibrance. 4 seconds total editing time. 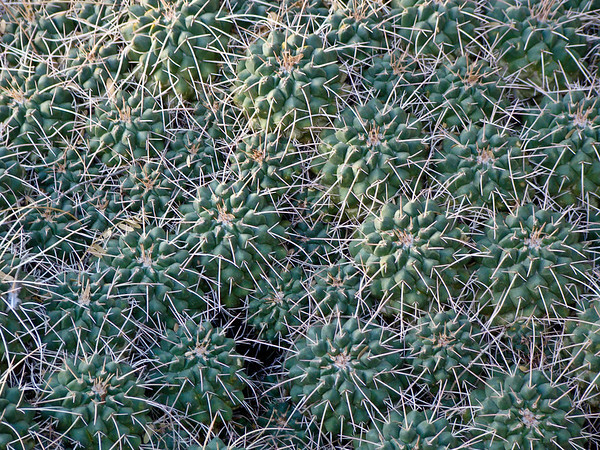 From Desert Botanical Garden 09. So red it hurts. 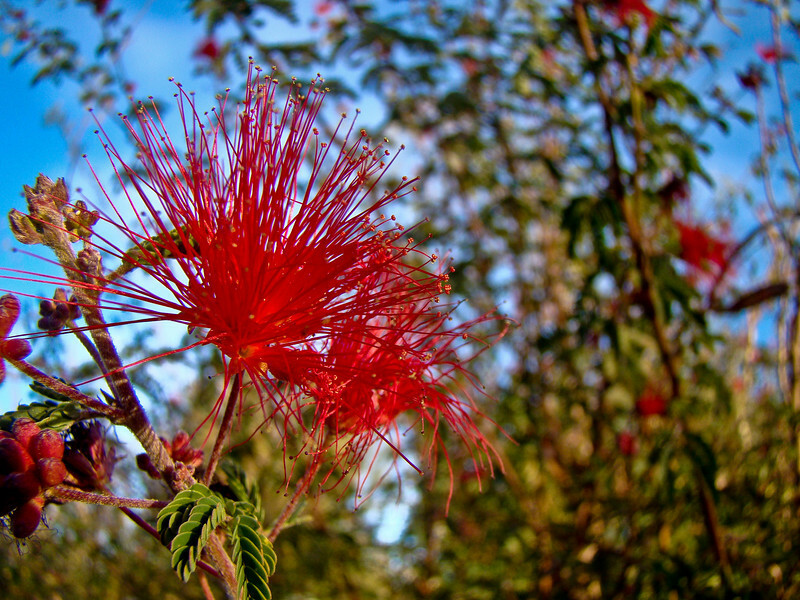 Red or Baja Fairy Duster, a native plant of America’s Southwestern Deserts, is certainly red. The more common variety is shades of pink and bit easier on the eye and the camera sensor. 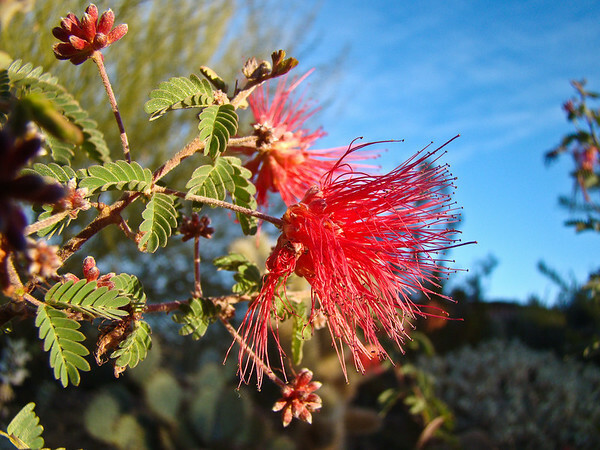 This specimen, in full early morning sun at the Desert Botanical Gardens in Phoenix Arizona is about as red as anything I have seen in nature. This was taken in wide angle macro mode from centimeters away. Sony DSC H50 at 31mm equivalent and macro. F4.0 @ 1/200th @ ISO 100. Programmed auto. Sharpen Landscape preset in Lightroom. Added Clarity. I generally add some Vibrance, but not to this shot! Here is an alternative view, and one with an Anna’s Hummingbird. 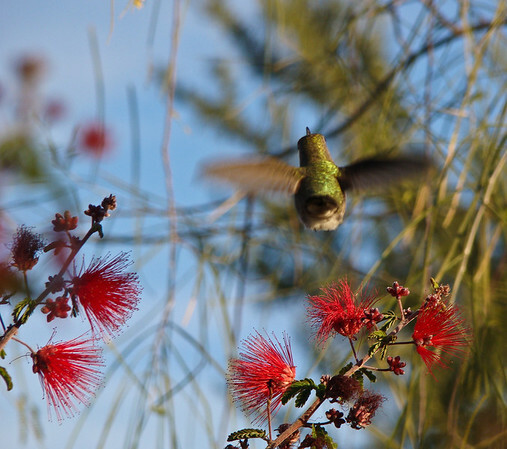 The plants attract hummers, especially late in the season when they are one of the few plants blooming. I was just too late to get the bird at a flower…but it is still an interesting image. A Christmas Eve day walk on the winter Parson’s beach a few miles from home. There is a definite December solstice look to the sky and that deep winter slant to the light of late morning. Sony DSC H50 at 31mm equivalent. F5.6 @ 1/500th @ ISO 100. Programmed auto. Added Clarity and just a touch of Vibrance in Lightroom. Recovery for the clouds and sky. Sharpen Landscapes preset. 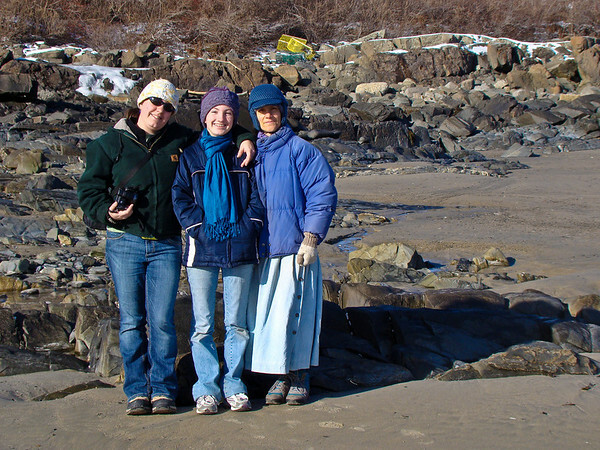 And here we are: My wife (right most) and two of my 5 daughters. You can see the one on the left (Sarah) takes after her dad, photographically at least. She has a blog…mostly about books…but she posts some images and some travel adventures, at What We Have Here is a Failure to Communicate.